Every form of marketing needs conversions to be tracked effectively. Email marketing is one of them. You know, with a tool like Google Analytics you can actually multiply your conversions and revenue from your business in the shortest time possible, you just need to use it the right way. However, before even thinking of increasing your conversion rate, you need to know where you are now and where you want to be. You should be clear on what your goals are and one way to do that is by tracking your current progress. In this article, I’ll show you how to track email signups and newsteller subscriptions on your blog in Google analytics. This will help you to know where you are at now, how well you are progressing over time and what should be your goal in the future. There are lots of tutorials related to this but every single of them is outdated. Google analytics has evolved pretty much. They have made setting up goals much simpler than it used to be and now those tutorials are no longer relevant. 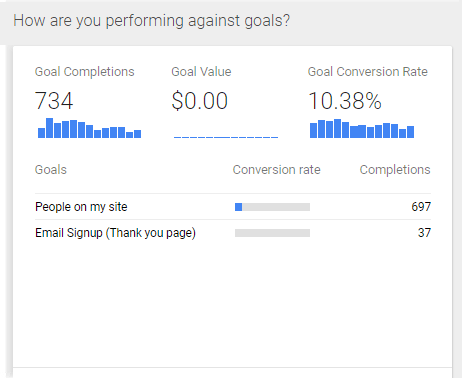 So, in this tutorial, you are going to the see the most recent version of Google Analytics and its goal setup, everything steps by step. Collection of data is not what helps an online business grow, its proper use does. 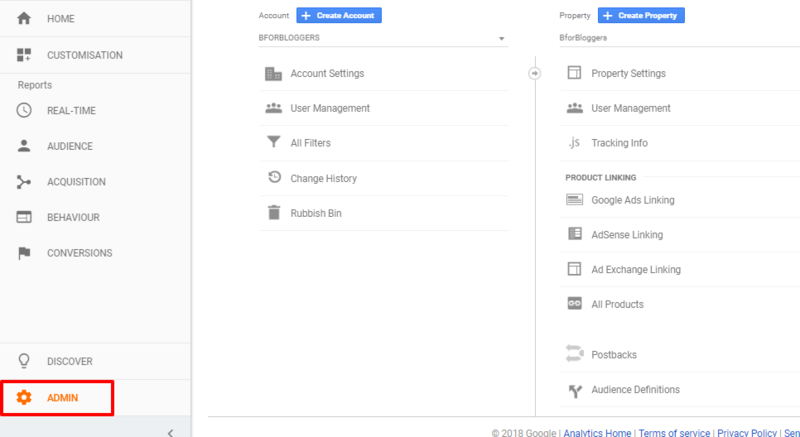 While Google analytics stores your conversion data for longer than other tools, it also helps you take proper action and understand what works. It indicates what is helping your business and what is not, which is very very important because you must be aware of things you must avoid that are costing you conversions every day. Before you set up a goal in Google Analytics, you will need to register for it. Its pretty simple so let’s get started. 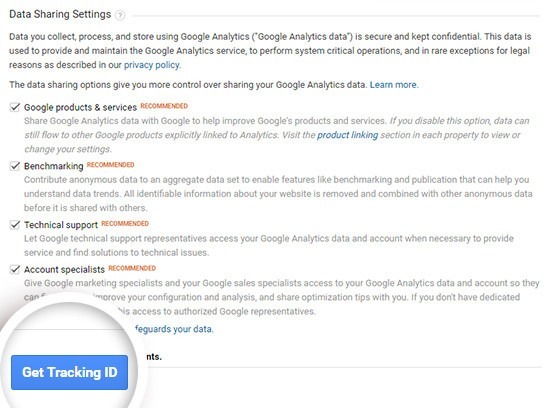 If you have a google analytics profile already, skip this step. 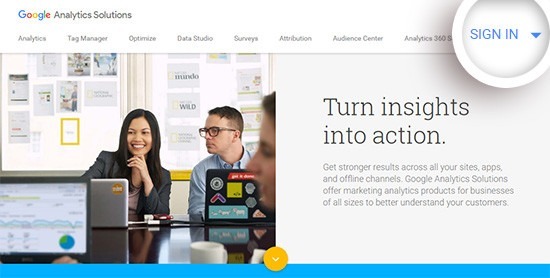 Go to the Google analytics registration page. On the next screen, click on sign up button. Fillup the account name, website name and website details correctly along with other details. Be careful with your website protocol selection. If your website loads on HTTPS select HTTPS only and if not then select HTTP. Click on the get tracking ID button by scrolling down below. Great, your Google Analytics profile is set up. Now you’ll have to link it to your website. If you are using WordPress I recommend you to install the Google analytics WD plugin. It will make your task much easier. 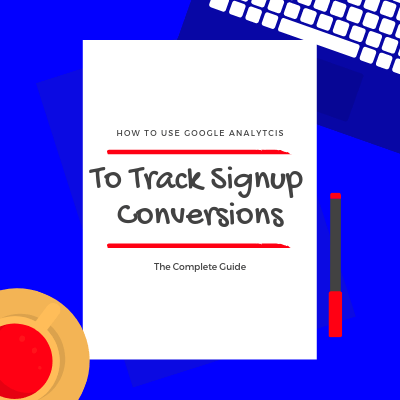 Google analytics tracks conversions when people sign up for your mailing list and they are redirected to a particular page (which we’ll set up later in this tutorial). Generally, It is a thank you page (for single optin) and/or a confirmation page (double optin). I’ll show you both ways, to track double and single optin sign-ups. So, a thank you page is a must. On this page, you don’t have to display your lead magnets. This will remind your users to confirm their subscription and join their list if they want to get your lead magnets and other resources such as ethical bribe and content upgrades. Prepare this page and publish it. Make sure its URL slug is /thank-you. 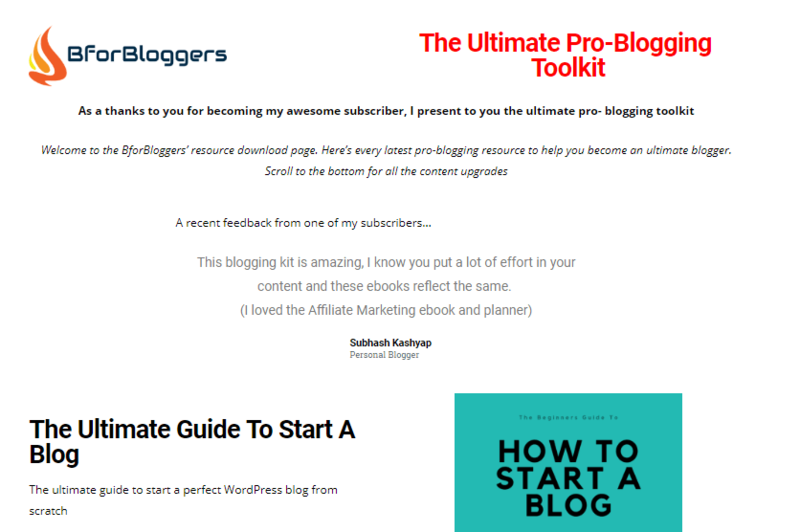 A confirmation page is an area where you put all your lead magnets and resources that you users signup for. 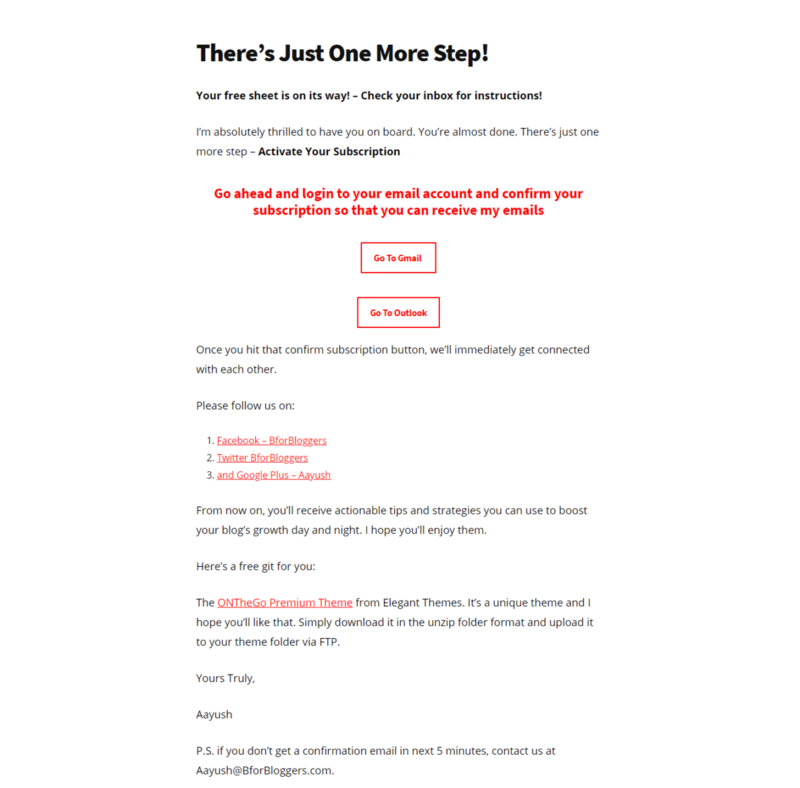 They are redirected here once they confirm their subscription to start receiving your emails. Here you can download all of the resources that you’ve signed up for. You have to prepare something like this. This page is as important as thank you page, so you have to publish this. This page can have any URL but keep it short and unique. 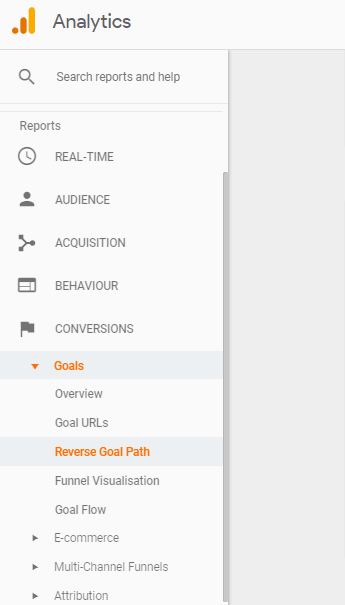 In the latest version of Google analytics setting up a goal is fairly easy. It requires no more long procedures and its now very much automated. You can set up individual conversion and other goals to track your “thank you” page and “confirmation page” conversions. This will let you collect the data of how many people are actually converting into your email subscribers are optin-in your lead forms. Give your goal a name. The default is “sign up”, you should name it “Thank you Page” or something relevant. Make sure the type is set to destination. Here you have to enter the URL slug of your tank you page. In this tutorial, we will keep it as /thank-you. You can see a funnel and a value option on this screen. The funnel option is quite helpful for most e-commerce sites, internet marketers and bloggers who sell digital products. This can be used to define specific paths you’ve created for your visitors to complete an order and track which pages are most successful and which are not. Your “thank you page” conversion goal is now set and working. For setting the same goal tracking for your confirmation page, repeat the whole steps. That’s all! You are now tracking the email signups. Soon you’ll have actionable data to work on. 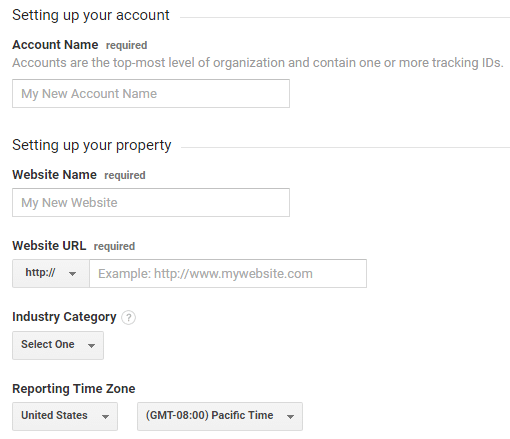 You should be able to see a reporting widget right in your Google analytics dashboard. This widget shows the last 7 days conversions. You can toggle the days to check specific date range and the conversion rate of any goal you may have. 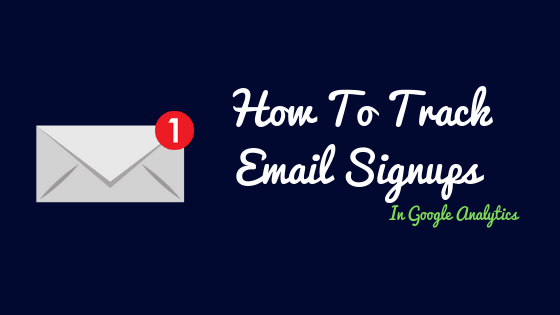 I hope this tutorial was helpful for you and you found how to track mailing list signups using goals in Google analytics. Let me know how did it feel for the first time you did this by leaving a comment below. What was your experience and how was this report helpful for you?